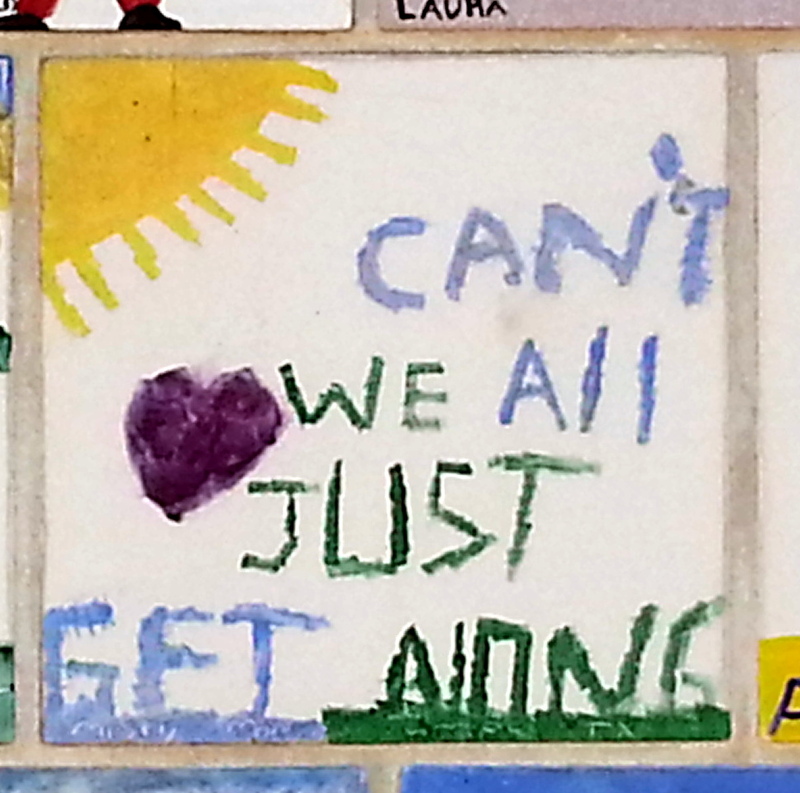 Already, it seems like forever ago since we left Great Salt Plains State Park. 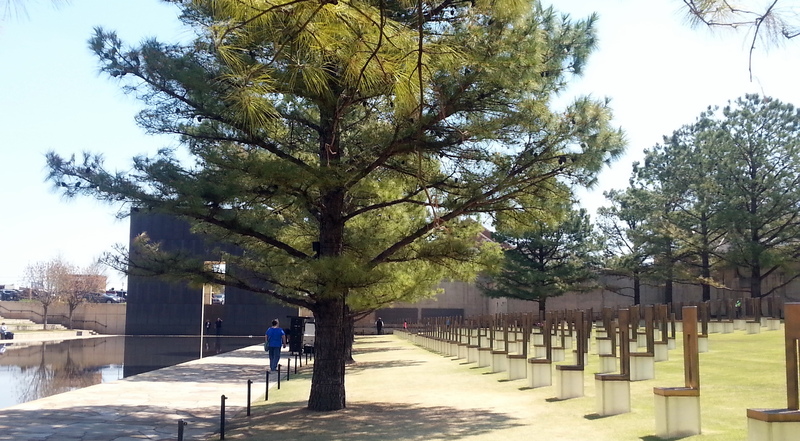 We planned an early departure, so we could stop in Oklahoma City to visit the Oklahoma City National Memorial & Museum, established to commemorate the bombing of the Murrah Federal Building in Oklahoma City in April 1995. 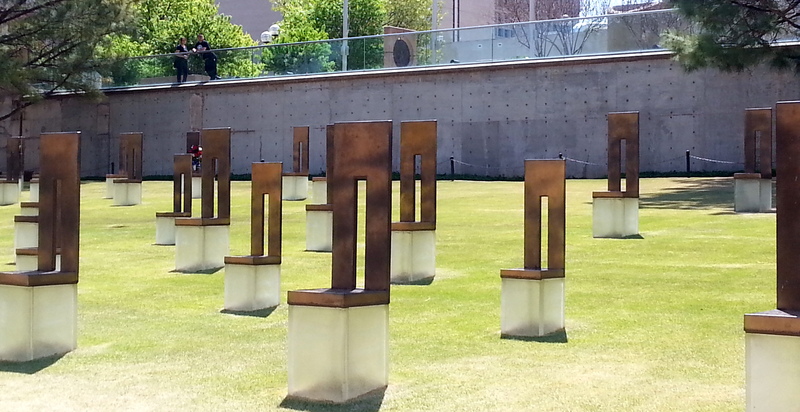 This memorial site is somber and moving, with hand-crafted bronze chairs in place for each of the 188 bombing victims, including smaller chairs for the children, which are especially gut-wrenching. The chairs are arranged in nine rows, according to the floor of the building each of the victims was on at the time of the bombing. At night, the bases of the chairs are softly illuminated. 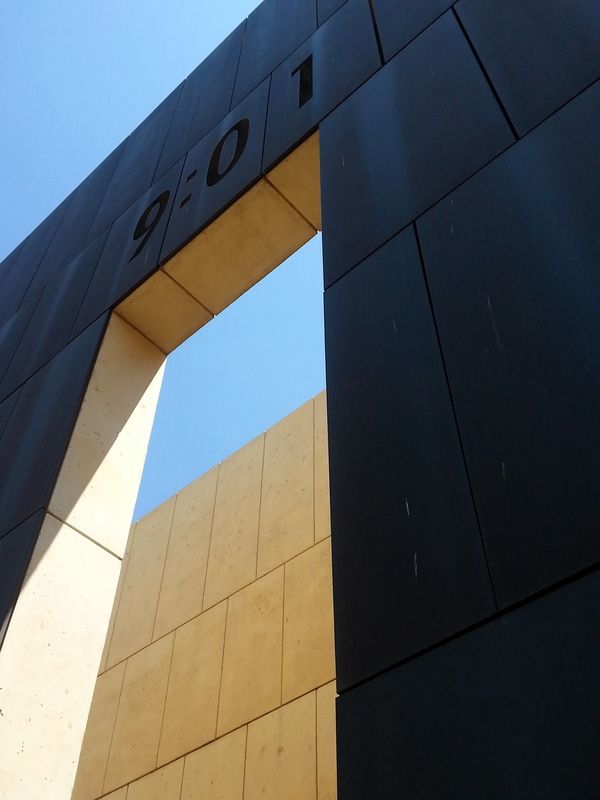 Large black granite walls with the times 9:01 (the last minute of normalcy before the bombing), and 9:03 (the time the recovery and healing began) guard the site, which includes the chairs, a walkway built from granite of the Murrah building, and a flat black-granite pool. 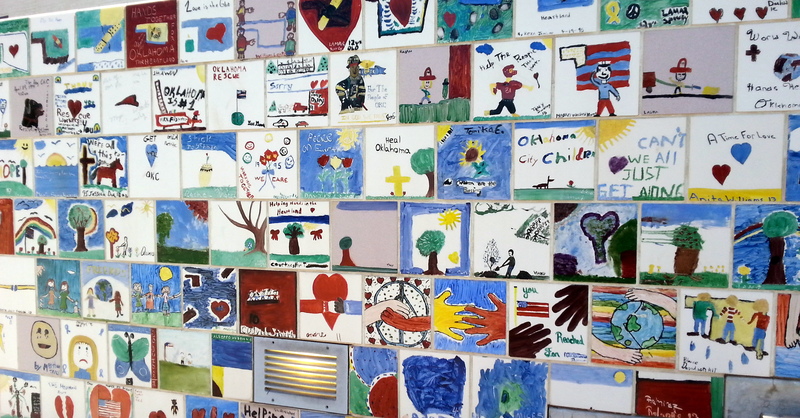 It’s dignified and quiet – a fitting tribute.There’s a wall with hand-made tiles from kids all over the world recognizing the sorrow of the families and friends of the victims. April 19 will be 19 years since the bombing. 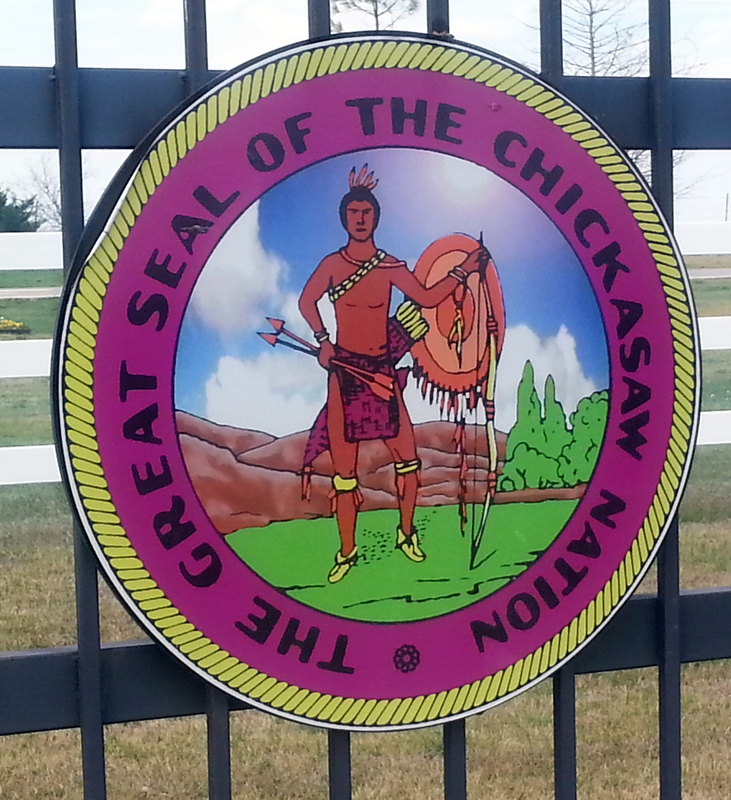 We hustled out of OK City, not wishing to see other sights this trip, but anxious to find our new campsite at Chickasaw National Recreation Area. By a lucky accident, we made a wrong turn into the area, and found ourselves at a campground which was not the one we for which we planned (although we had no reservations). A part of the same NRA, this campground had deluxe paved roads, paved slabs, and water/electric for just $12/night with our Geezer pass. Showers, even! A view of the lake. Heaven. 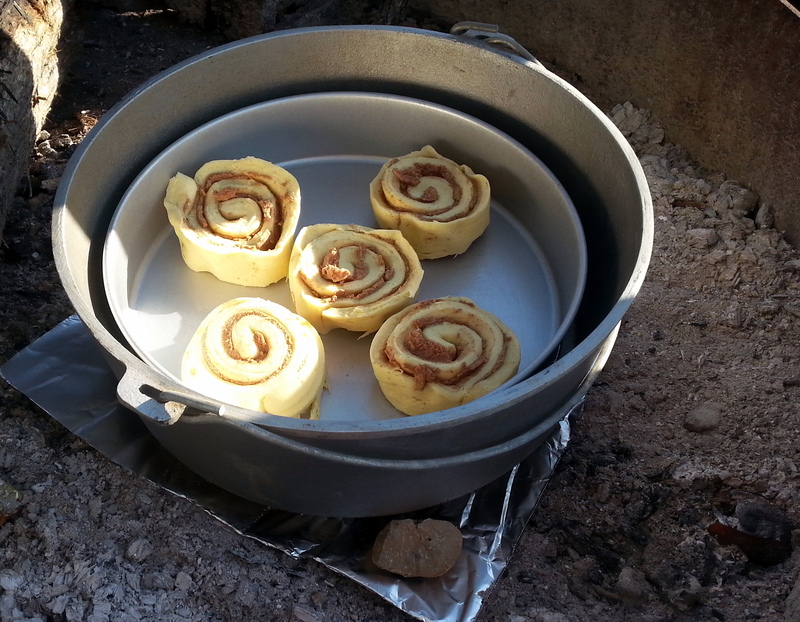 John celebrated by baking Dutch oven cinnamon rolls for breakfast the next morning. Don’t let the dark tops fool you – they were spectacular. Scarfed down while warm, with the gooey frosting oozing between the layers. We decided to explore the next day on bikes, and headed toward Sulfur, the nearby town. 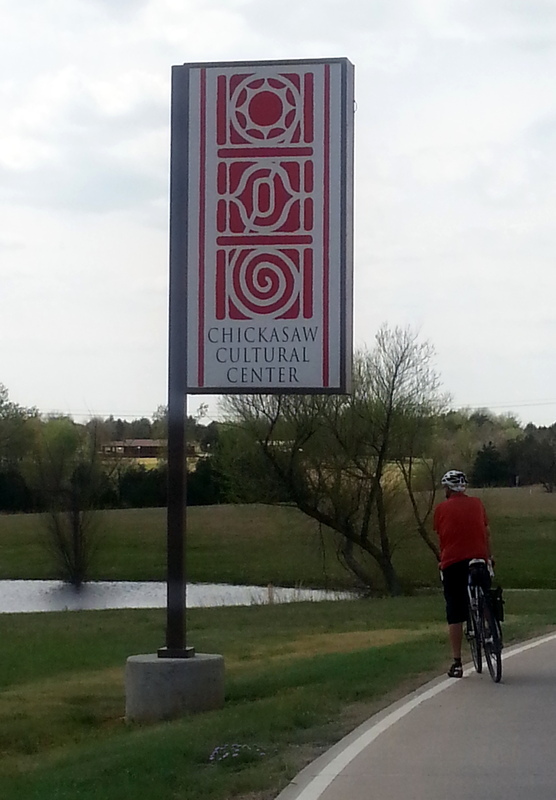 The Chickasaw Cultural Center caught our eye on the way by, so we happily detoured into the curving driveway. 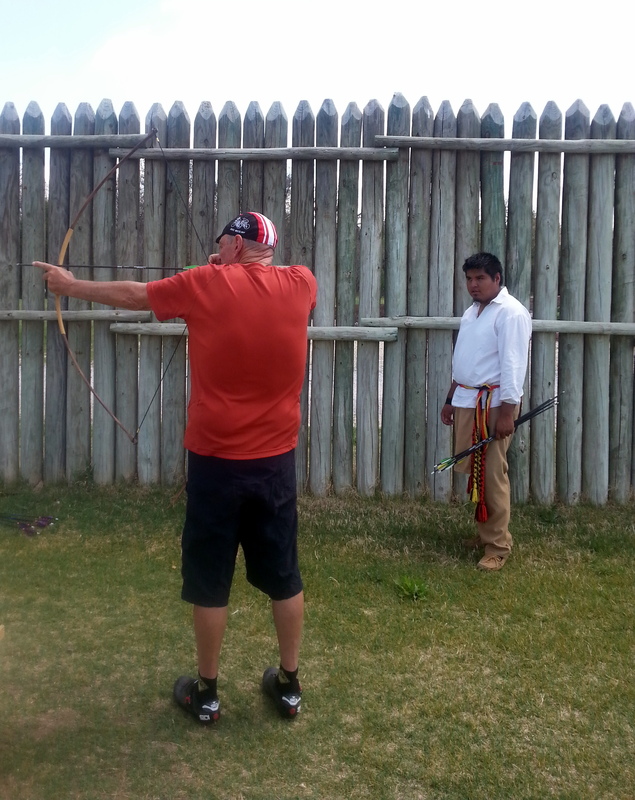 What an informative afternoon we spent – live demonstrations of archery, weaving, beading, spear-throwing games, were all in process. 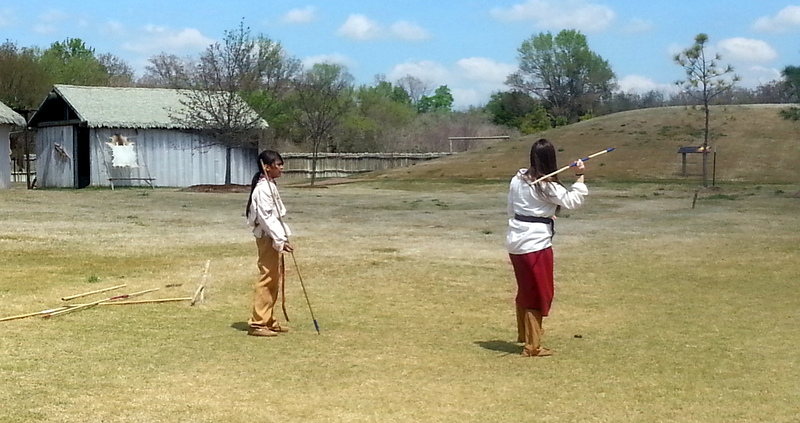 Native stomp dancers talked about their traditions and culture. A movie, and audio presentations. 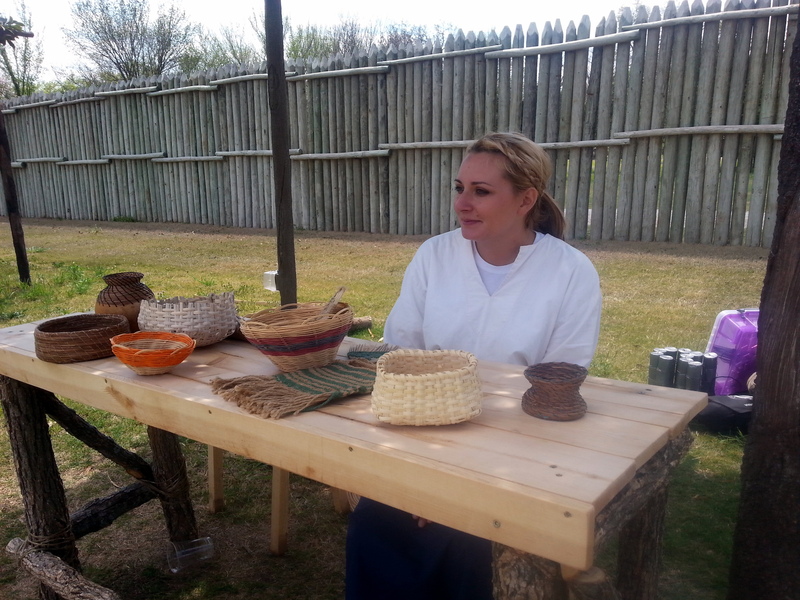 For lunch, a bison taco and hominy stew. But, the best part was the old tanner who was working there. 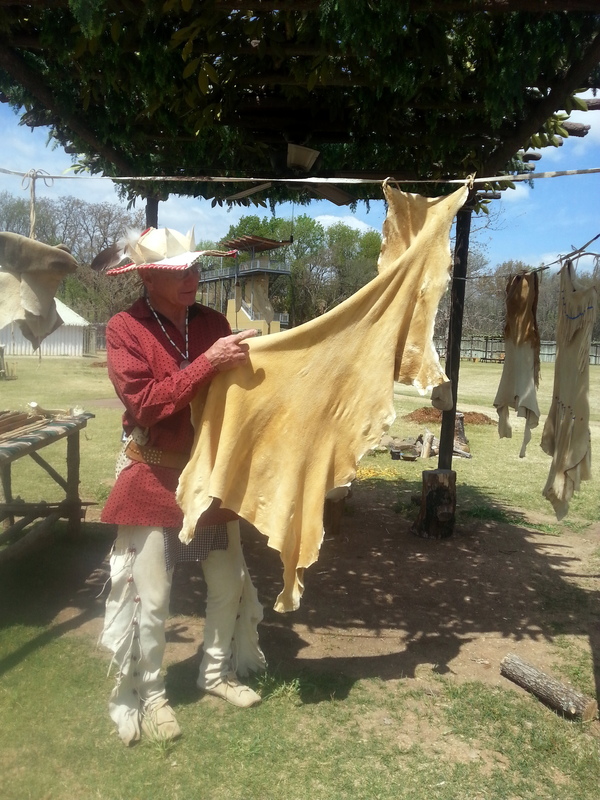 This elderly gentleman hunts and tans all of his own hides, makes all his own clothes, camps in a teepee, makes bows from native materials, raises bison, and is the real deal. He was very gracious in spending time with us, explaining his craft, and answering all of our questions. What a treasure. Back at camp, I decided to forage for unused firewood at empty campsites. 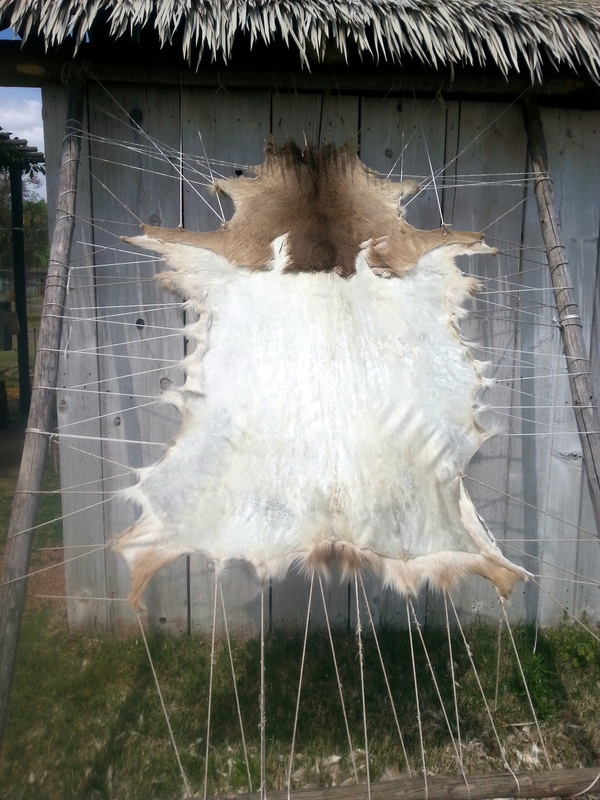 That’s a favorite trick of ours – we HATE spending $$ for firewood, and forage when we can. There’s an astonishing amount of wood left at campsites every day. Free for the taking. 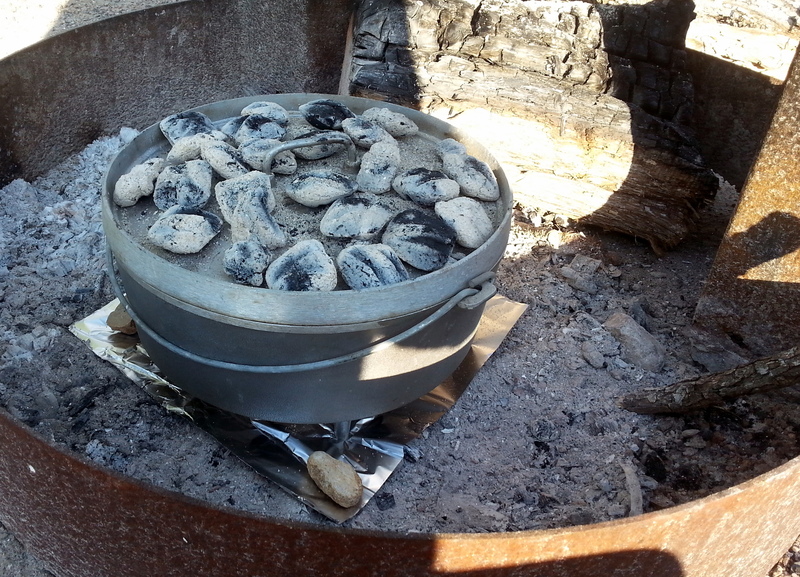 We have no pride when it comes to hauling it back for our own campfire. What did I spy but the greatest carved hotdog stick ever! Four-pronged, with a handle. I grabbed it, and sprinted back to camp, hollering at John to come see. He was knee-deep in giving Fireball tours to about five passers-by at the time. (This is something we do a lot. Everyone wants to ask us about the Fireball, and check out the inside. We gladly oblige). I was quickly brought back to earth – Hey, City Girl – this is no hotdog stick, it’s a frog giggin’ stick! Ick!! I don’t know exactly what the process is, and don’t want to know. The loss of innocence was crushing. Hating to leave this fabulous campground, we sadly pack up on Sunday morning and head for Crater of Diamonds State Park in AR. Hoping to screen/dip/mine the big one, although we have no idea what the process of finding your own diamond really is. Guess we’ll find out. How hard can it be, anyway? This entry was posted in camping, cycling, national parks, Oklahoma, retirement, RV life, simple camping, state parks, T@DA and tagged camping, cycling, national parks, Oklahoma, retirement, road trip, RV life, simple camping, state parks, the great outdoors by Judy Crankshaw. Bookmark the permalink. Make that a frog firewood stick! 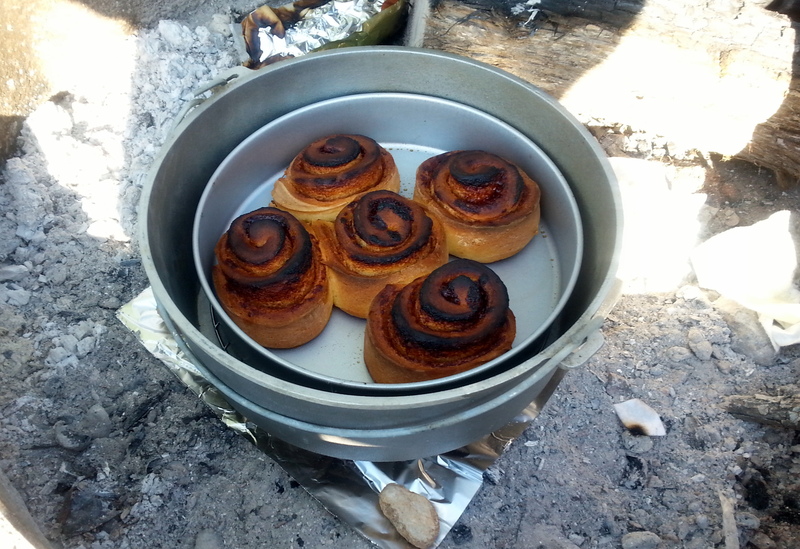 Hey, I remember those cinnamon buns….yummmmm! Going to give that stick to my sister in law for Mother’s Day. She will probably use it for its intended purpose with her grandkids. Hey – are you on the road to NC yet? Oh rip-it! Cool center…homily stew sounds great! Oh we want to pan really bad….can’t wait to hear. Frog legs…yum! 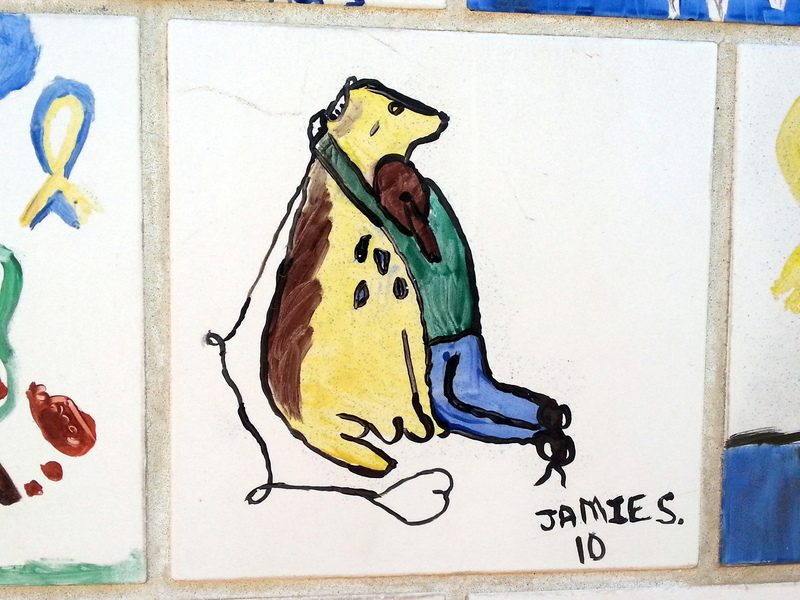 Didn’t John go spearing frogs in his youth? 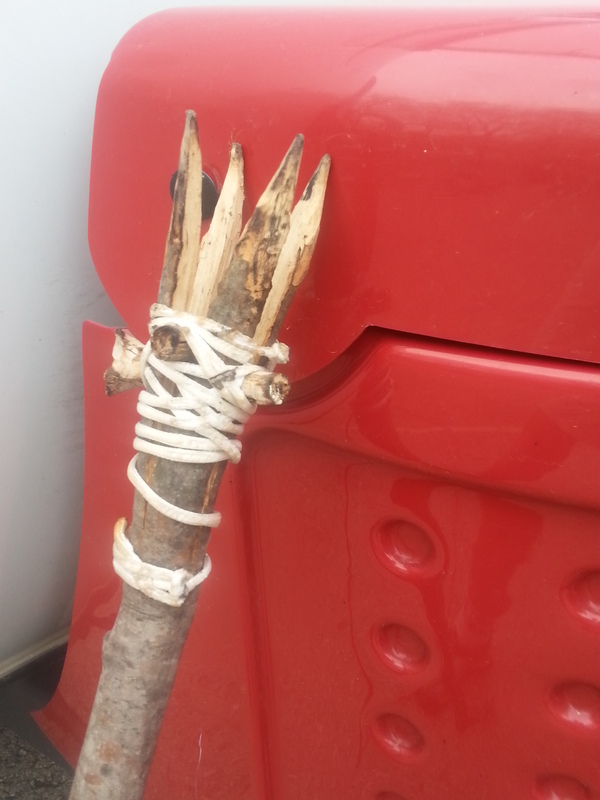 Don’t feel bad – I just learned about this frog gigging stick from your blog. I would have preferred to remain naive as well… :( . Can’t wait to hear about the diamond hunt though! You have to love the unexpected stuff. Good and bad. You didn’t know what a frog gigging stick was? That’s funny! Good luck in your search for diamonds, some guy just found a 6 carat one in the past month. Sure hope that want the last big diamond out there! Don’t have great expectations for the day. Don’t even want to think about giggin’ anything. I never had brothers, and the closest I probably ever came to that would gave been catching tadpoles in the creek at the end of our street.